I just received this ditty about an electric Renault R-10. Does anyone know of it's whereabouts at this time? I wish I had it right now the way fuel prices are! I know where one of them is. Donald Young of Macungie, PA owns one. He brings it to Das Awkscht Fescht inMacungie, PA every year. It was purchased originally by PPL (Pennsylvania Power and Light) and I remember it being on display at a local shopping center when I was just a kid. Here's is a newspaper write up about it in the local paper at a car show May 1. 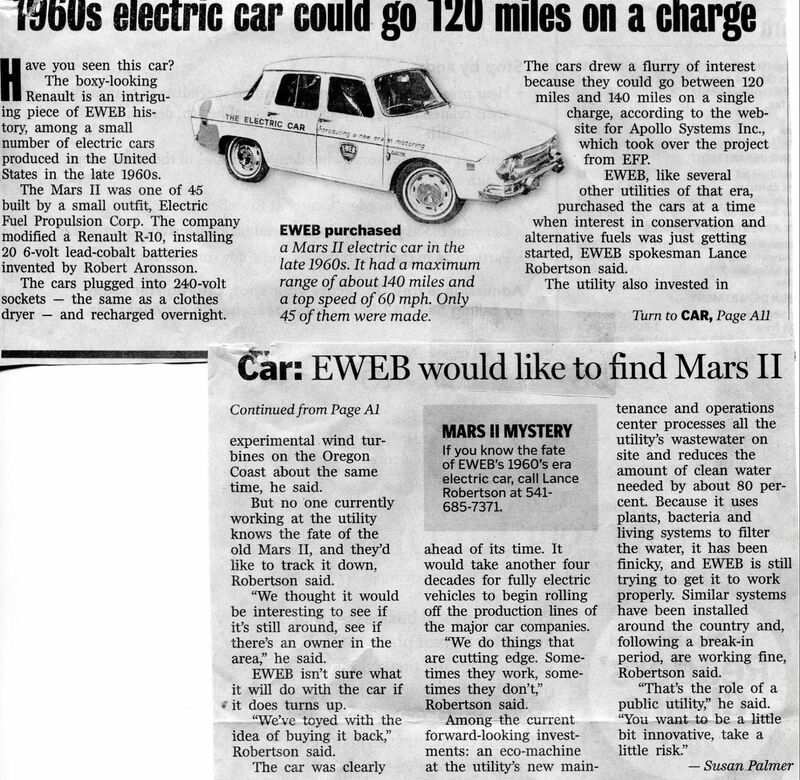 Donald Young showed two cars at the solar event – a 1967 Renault R-10 and a 1993 Honda Civic. The Renault uses a 120-volt system with 20 6-volt batteries, while the Honda uses a 144-volt system with 12 12-volt batteries. Both cars can charge up overnight and travel at 65-70 mph. The Honda is used on a daily basis, but the Renault, because it is an antique car, is driven very minimally. Here's a picture taken May 1, 2011. Amazing what is out there if you just ask isn't it! Dwight...thanks very much for that information. It really IS a small world when it comes to vehicles, sometimes. There was one of these for sale at a car show in Beloit, WI in the summer of 2009. Don't know if the seller ever found a buyer or not. He said he was having trouble with the contactors sticking and hte car had become somewhat unreliable for speed control. He had driven it to the show, and I never read of any accident in the area after the show ended, so I presume he made it home. Unless someone else took it home. In high school, one of my girlfriend's dads worked at PPL and had one of these to drive. I got the opportunity to drive it. It felt like a heavily burdened VW Beetle, but it felt very stable and nimble for handling. 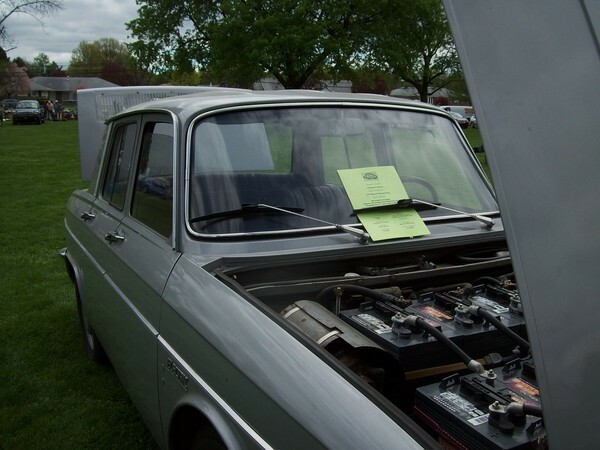 It's acceleration was about on par with our six cylinder 1960 Rambler American with an automatic. Definitely not a barn burner for acceleration. But it was good up to 60mph and might have gone a little faster. It used load range C tires due to the weight and they were pretty hard to find for this size as I recall. I also believe that there is one of these in the Boyertown (PA) Auto Museum. They have quite a collection of Electric Vehicles on display there.